Most of us spent our childhood summers learning to swim. So much so that transitioning from the “doggie paddle” to a successful freestyle stroke has become a sort of right of passage. Swim lessons as a child—including the social aspect of learning with friends—turns into the camaraderie of being part of the high school swim team. I grew up learning to swim in the hot, arid Southern Washington climate. Missing a regular swimming program when I moved to Bend almost 16 years ago, I joined Central Oregon Masters Aquatics (COMA), and re-discovered the joy of swimming in a group environment. 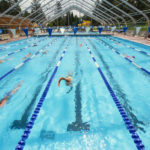 With year-round pool facilities in Bend, Sisters, Redmond and Madras—as well as COMA coaches who facilitate hours of mentorship for all levels of swimmers—it is easy to get excited about swimming in Central Oregon, even in the winter. 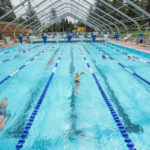 The COMA program, which coaches roughly 250-300 swimmers every year, varying seasonally, emphasizes that it is open to all adult fitness swimmers, ages 18 and over. 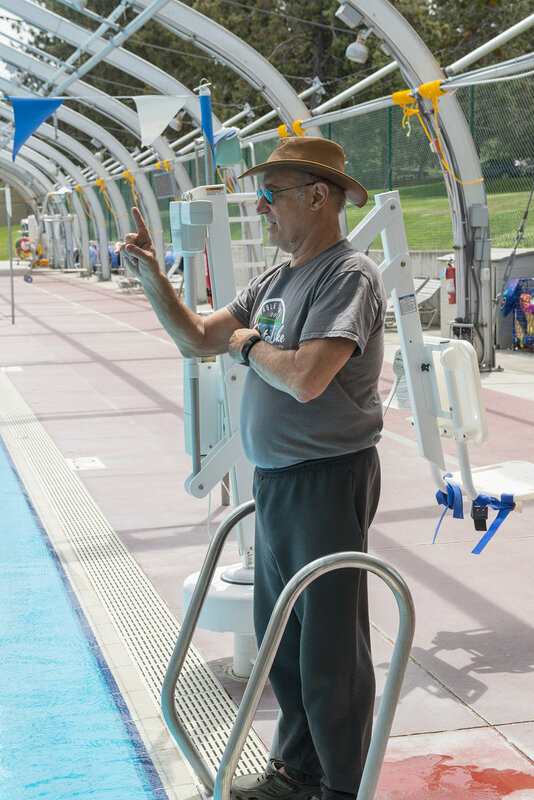 Bob Bruce, the head coach of COMA, has over 40 years of experience coaching novice, high school, college, and master-level swimmers. The oldest person to come under his tutelage in Central Oregon was an octogenarian. “We have lots of participants of Medicare age,” says Bruce. 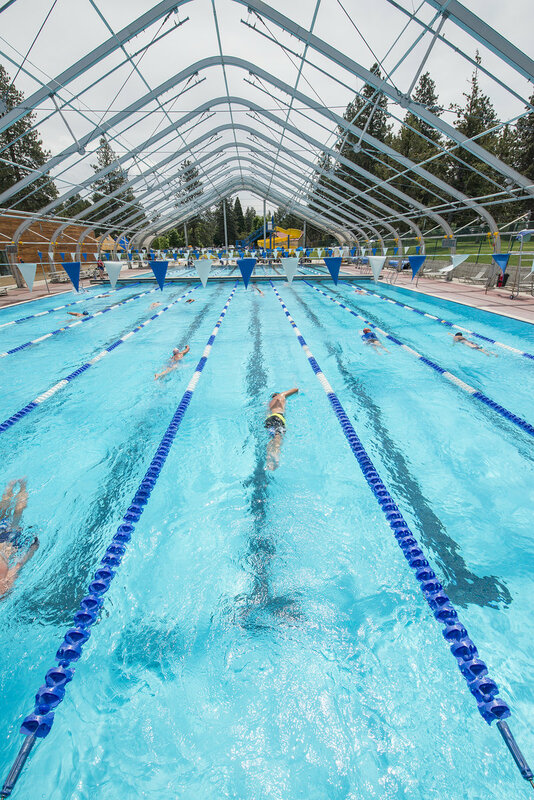 COMA swim practices are held weekly throughout the year at Juniper Swim & Fitness in Bend, the Athletic Club of Bend, the Sisters Athletic Club and at the Madras Aquatic Center. 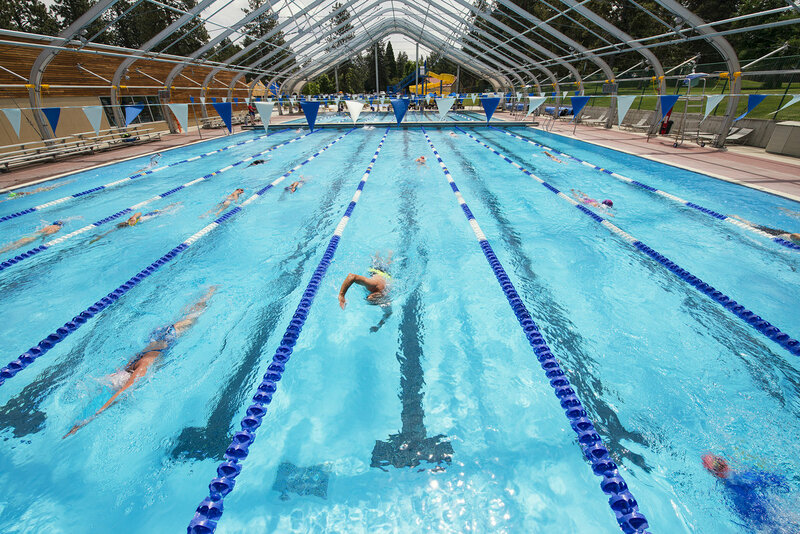 Swimming lanes are set up by ability, from beginner to elite athlete, and not everyone who swims with COMA competes. Personally, I rarely finished in a top position during competition in high school, so joining COMA was purely for the social and fitness aspects. I have no desire to compete in an open-water race or tune up my (relatively non-existent) triathlete skills during off-season months. 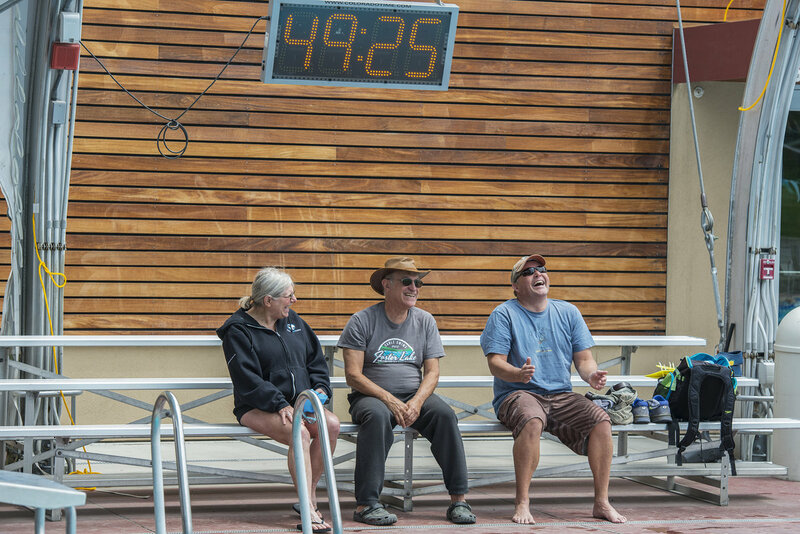 “If you can swim 500 yards continuously, you’re ready to swim with COMA,” says Bruce. 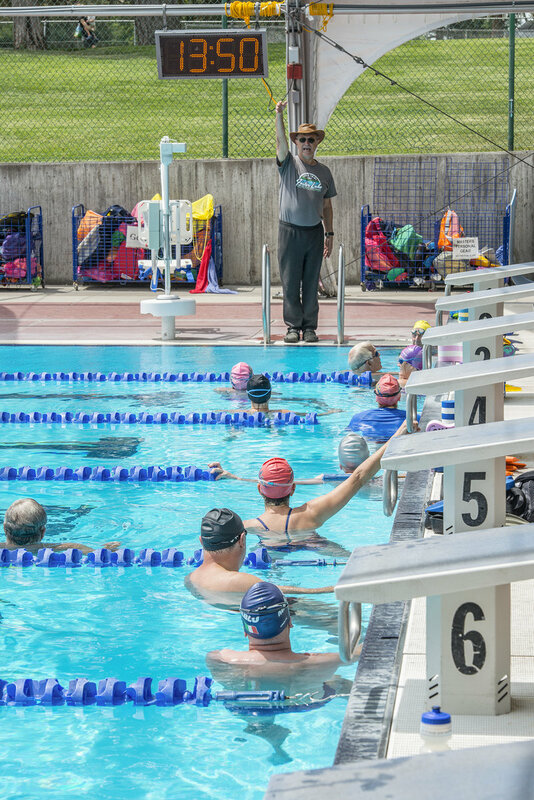 For swimmers looking to compete, COMA offers competitive outlets through its affiliation with the Oregon Masters Swimming (OMS) and United States Masters Swimming (USMS) organizations. COMA also hosts the annual Cascade Lakes Swim Series and the Foster Lake Cable Swims events. 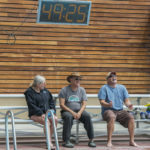 Held at Elk Lake last July, the 23-year-old Cascade Lakes Swim Series featured five open-water swims. Billed as a swim series and festival, the Cascade Lake Swim Series showcased child-friendly activities in between races and a “special survivor” mug to everyone completing all five swims. The 5000-meter swim at the Cascade Lake Swim Series is the longest swim and also doubles as the USMS National Open Water Championship. 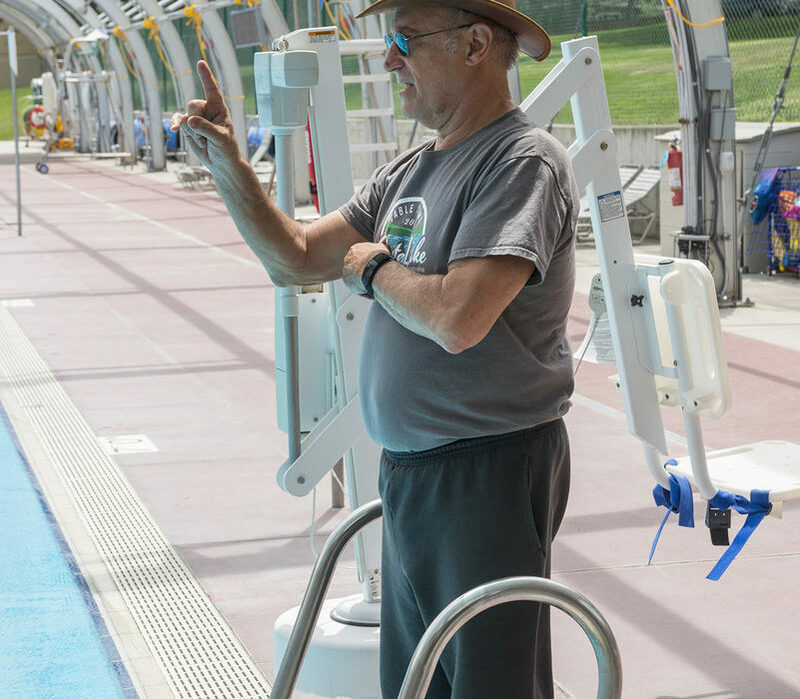 “You have to be able to make the distance in the pool before you try it in the pond, and there are a few skills—swimming in groups, drafting, and navigating in the open stretches by yourself, if necessary—that you need to know before you try lake swims,” says Bruce. The Foster Lake Cable Swims, held at Foster Lake near Sweet Home, Oregon, features a one-mile and a two-mile race. 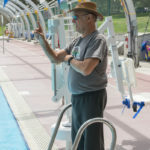 Perhaps the easiest transition from pool swimming to open-water swimming, a cable swim is defined, literally, by a cable that has buoys attached. 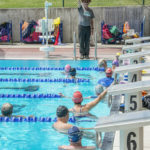 Participants are able to swim without worrying about going of-course, an anxiety reducer for those newly testing out the waters of an open-water swim. Foster Lake is especially fun as it is the only permanently-anchored cable swim course in the western United States. You can swim, in much the same form as you do now, your whole life. COMA provides the organization, expertise and social benefits for anyone with a desire to incorporate swimming into their fitness goals.